Your Wedding on Vinyl! – The ultimate wedding gift? 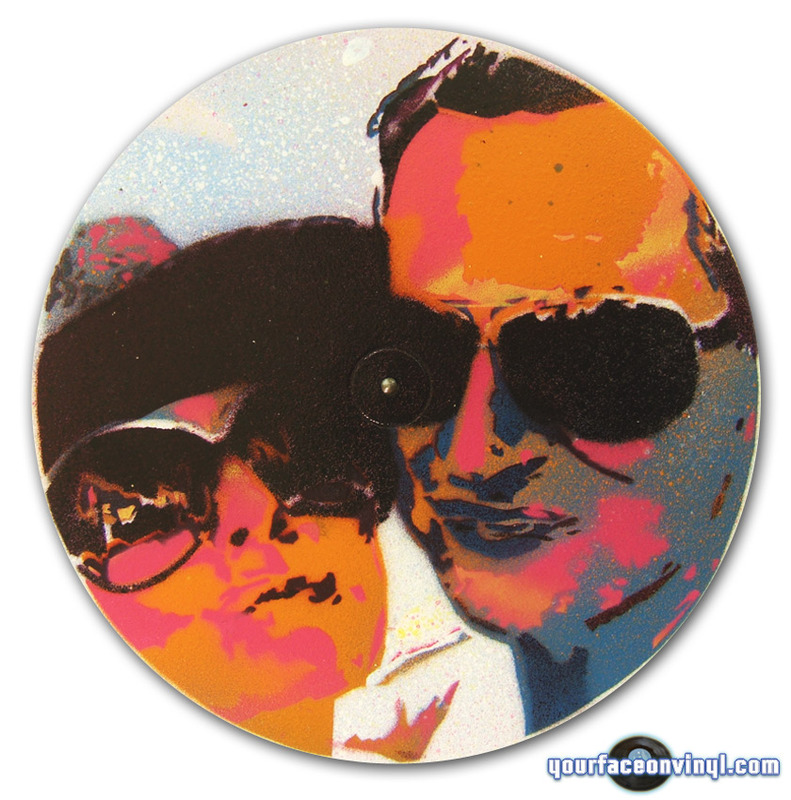 Your Wedding on vinyl – ultimate unique bespoke wedding gift? 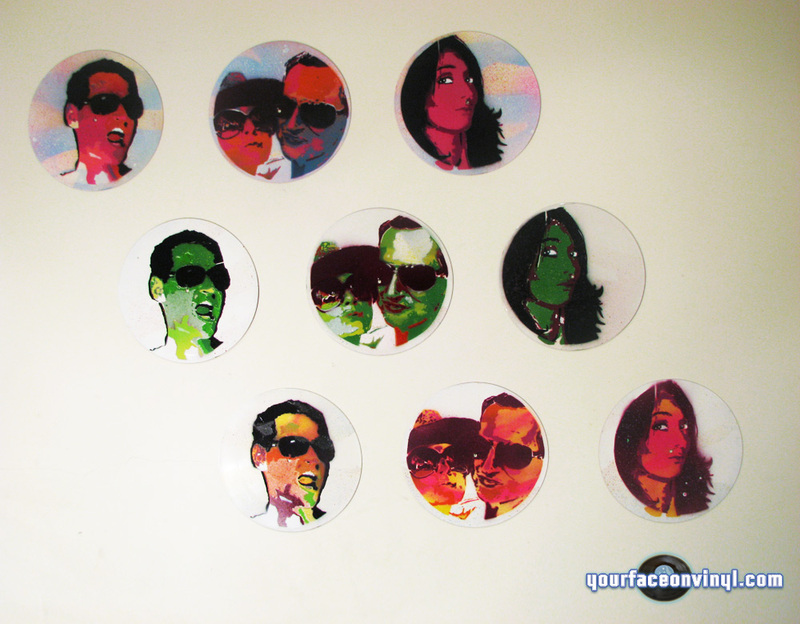 Made to order photo portraits in a cool street art portrait style on vinyl! The ultimate personalized wedding gift? Scroll to the bottom for more images of the completed order. After a little thought we had a meeting with the client and discussed some ideas. The idea was to make 3 different prints; one based on a photo of the bride, one of the groom and one vinyl with the happy couple together in order to celebrate the unity and the occasion. We toyed around with a few ideas. One idea was to use opposing colours on the bride / groom print and combine those colours on the vinyl art stencil when they are both pictured together. Kind of a yin-yang theorem, although the conceptual idea is a good one, the actual translation on idea to physical medium would not work; too many complexities and jarring colours. In the end we decided that good quality image and colour balance rules over complex artistic interpretations which would likely be lost on many. First and foremost is the actual graphic output. We suggested to the client we would like to create a visual matrix of the wedding couple. Using the number nine (records) to make a nice wall hanging shape and taking inspiration from Andy Warhol’s piece of Marilyn Monroe where a screen print of her face using different colours is tessellated to provide a graphically pleasing result. However we decided to take it one step further and give the client a chance to hang the artwork in any way they please. The vinyl record art can be hung in a grid like matrix, or in a row, vertically or horizontally… or they can even distribute them around the house. Using our custom made wall hanging system the happy couple could also change the order and sequence of the records based on whim. Re-arranging and adjusting to created new home décor layouts whenever they please! Lastly it’s very important to mention that we at your face on vinyl do not use traditional screen printing techniques, we rely much more on a human aspect when hand cut stencils and spray paints were used to create these records. 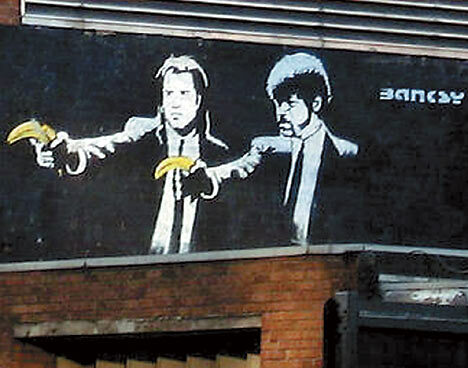 The result…A kind of Warhol / Banksy mashup, with an interactive twist. We hope that next time we can create something even more unique, engaging and interesting. Off course you don’t have to wait for your or someone else’s wedding. 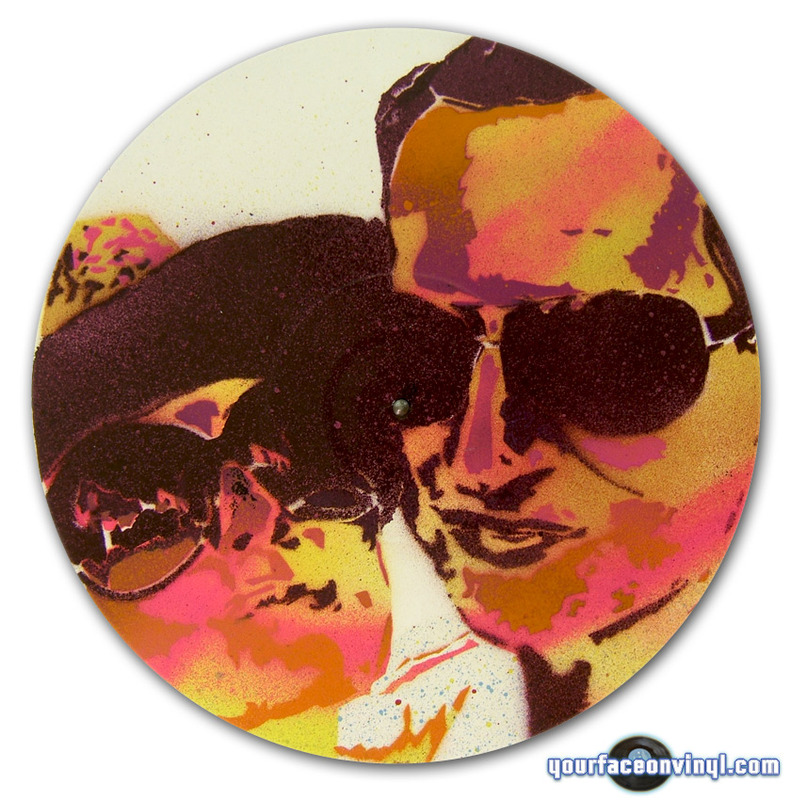 We can produce a similar effect vinyl art gift for any occasion; birthdays, weddings, Christmas present, Bar Mitzvah, or perhaps you are just looking for some custom home décor. The choice is yours…The pleasure is ours! 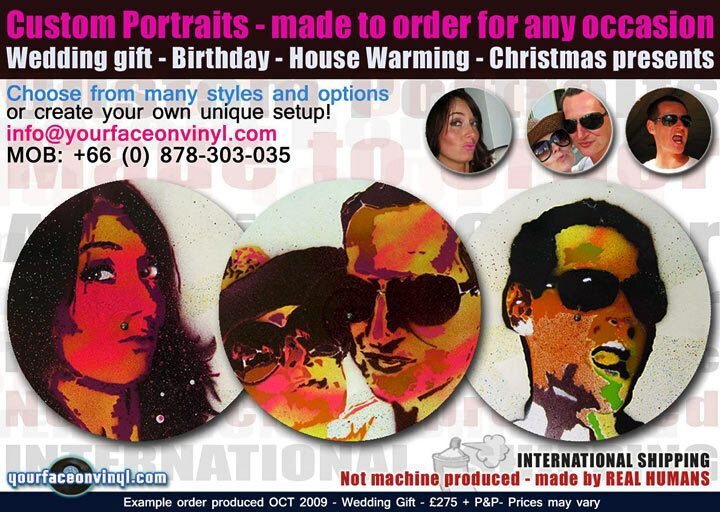 Your face on vinyl is a portrait service. We take your photo and turn it into a unique hand-made piece of art. 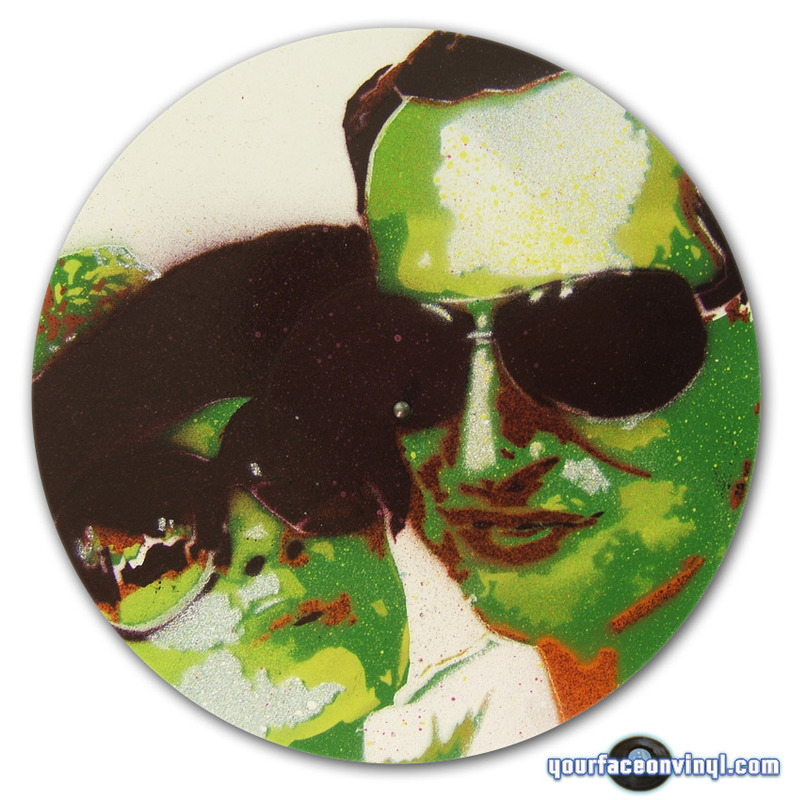 In this example the Bride and the Groom’s photographs were transformed into stencils using a human controlled process, the stencils were hand cut and then sprayed using premium quality Spray Paint and finished with tough stain proof lacquer. Each piece is uniquely made by hand therefore it is impossible that any two records will be the same. Your face on vinyl IS NOT your usual one-click portrait service. Every aspect of creating the records is done by hand and human eye. Be sure when you order from your face on vinyl you are giving someone a very special and unique gift indeed.